Brian Hodgson lived in Nepal from 1820 to 1843 during which time he wrote and published extensively on Nepalese culture, religion, natural history, architecture, ethnography and linguistics. 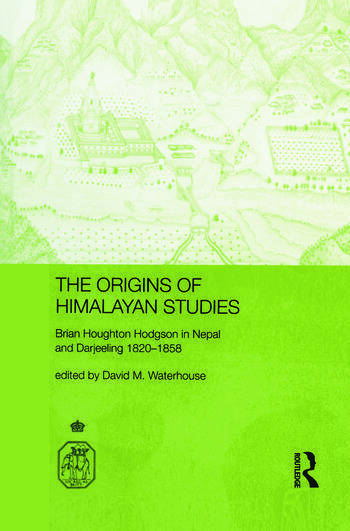 Contributors from leading historians of Nepal and South Asia and from specialists in Buddhist studies, art history, linguistics, ornithology and ethnography, critically examine Hodgson's life and achievement within the context of his contribution to scholarship. Many of the drawings photographed for this book have not previously been published. David M. Waterhouse is Vice-President of the Royal Asiatic Society. He was British Council Director in Nepal from 1972 to 1977.